News that boxing is to make a comeback at the Royal Albert Hall is music to my ears – almost literally so. Next time, on Friday 8 March, it will be a symphony of sock at the venerable venue, courtesy of Frank Warren and featuring some classical pugilistic percussion as composed by some of Britain’s finest fighters. 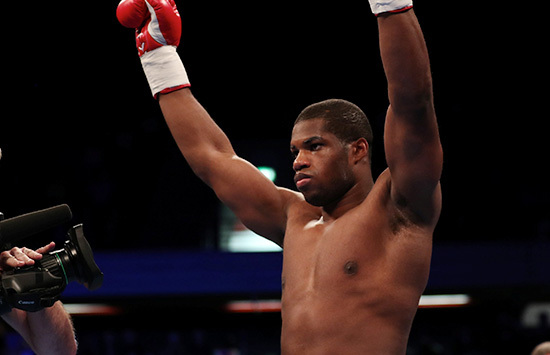 Among them, rising heavyweight star Daniel Dubois will have his tenth professional fight against Romanian giant Razvan Cojanu. and double Olympic gold medallist Nicola Adams will share top billing in a bid for her first world professional title in a super show televised live by BT. Adams will challenge the WBO world flyweight champion, Mexican Arely Mucino, having won the Interim world title in October with a clear cut points victory over Isabel Millan in her fifth professional contest. “To fight for the WBO world title at the Royal Albert Hall is a dream come true when you consider the great names that have performed there and I want to make this another memorable occasion.” said Adams. In the sixties and seventies the South Kensington arena hosted boxing legends including Muhammad Ali, Sir Henry Cooper and Frank Bruno. In over half a century I have covered boxing from Manchester Arena to Madison Square Garden, Wembley Stadium to the Superdome in New Orleans, Kuala Lumpur to Kinshasa but no venue has more history, grandeur or atmosphere than the terracotta-clad circular edifice, with its ornate balcony boxes, and acoustically perfect auditorium housed under a glazed dome. Frank Warren calls it ‘a posh York Hall’ and indeed, it is a west London version of East London’s iconic emporium – but bigger and with gold-plated knobs on. Here is boxing in the round – round by round. The construction of the world-renowned building began in 1867 when Queen Victoria laid the Hall’s foundation stone in 1867, and named it in memory of her husband, Prince Albert, who had died six years earlier. It had a long association with the ABA championships and professional boxing goes back some 100 years. Although there were boxing displays within other events, the first proper tournament took place on 11-12 December 1918. The contestants were soldiers and sailors of the armed forces – The British Empire versus The American Services. This led to a series of 12 boxing events between 1 December 1919 and 30 November 1920 being held under Championship conditions, for gold trophies or cups, but not for prize money. The French matinee idol Georges Carpentier fought three exhibition rounds on 26 December 1919. Shortly after, on 13 January 1921 the Prince of Wales, a great boxing fan, sat ringside to watch American Pete Harman beat Welsh legend Jimmy Wilde in the 17th round. In 1925 the first of a series of contests with prize money was allowed. Italy’s Ambling Alp, the giant Primo Carnera fought in Britain for the first time at the 5,500-capacity Hall, which was regarded as an excellent venue for boxing, where no spectator was distant from the ring. The ring could therefore be smaller than anywhere else with a result that there was more spectacular in-fighting. Muhammad Ali boxed eight exhibition rounds on 19 October 1971, and his old foe Henry Cooper fought there four times. Years later, Naseem Hamed fought Juan Polo Perez on 1 July 1995 and Lennox Lewis began his pro career there, appearing seven times in his early years. Frank Bruno’s career was also forged there, fighting on 15 occasions. It was where Britain’s most famous fistic chant of ‘Broo-no, Broo-no’ first reverberated around an arena. The last world championship contested at the Royal Albert Hall before a 12 year break was between Marco Antonio Barrera and Paul Lloyd on 3 April 1999. Also on the bill that night was a British heavyweight title fight between Julius Francis and Danny Williams as well as a young Ricky Hatton. The same year the Hall lost its licence for boxing following concerns from local residents about noise levels. But in April 2011 the Court of Appeal overturned the ruling and as Hall of Fame promoter Warren said at the time: “Boxing’s been at the Royal Albert Hall since 1920 and there’s not been any problems to my knowledge. It certainly not as loud as a rock concert.” Or indeed Tchaikovsky’s 1812 Overture, after which I am still rubbing my eardrums. Following the lengthy break, boxing returned to the Hall on 7 October 2011 with a contest between the UK Armed Forces and the US Armed Forces in association with the charity, Tickets For Troops. 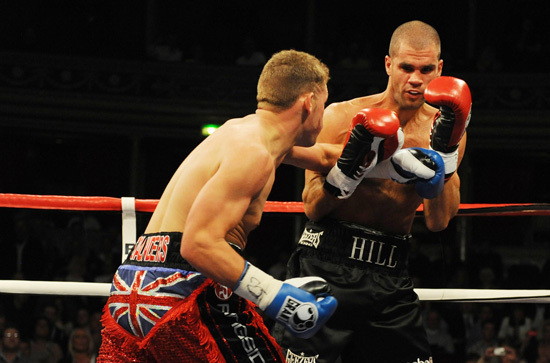 That show was also promoted by Warren, who was also the last to stage a pro tournament there on 28 April 2012, when former Olympian Billy Joe Saunders disposed of Tony Hill in just 30 seconds to win the Commonwealth middleweight title. Other noteworthy moments included the notorious Kray twins, Reggie and Ronnie, with their elder brother Charlie, appearing on the same bill on 11 December 1951. Several years later, when their gangster exploits became well-known, the promoter Mickey Duff barred them from entering the arena as fans. The twins responded by sending a parcel to his wife containing two dead rats. My own memories of many magical hours spent ringside at the Royal Albert Hall are highlighted by the real blood and thunder scrap between two fierce-hitting American heavyweights, Leotis Martin and Thad Spencer in May 1968; the peerless Howard Winstone’s acquisition of the world featherweight title against Japan’s Mitsunori Seki a couple of months earlier and, back in April 1963 my one-time flatmate Frankie ‘Tiger’ Taylor’s sixth round ko of Lenny ‘The Lion’ Williams, a featherweight punch-up so pulsating that some of Frankie’s fans almost toppled over their balcony boxes withexcitement!